5 DECEMBER 2017. NEW YORK & MADRID.  Fontech, the technology arm of Fon and leader in WiFi software solutions, announces their cutting-edge Home WiFi Solution that empowers operators to solve the home coverage problem and deliver a superior connectivity experience in every home. With over a decade of experience developing carrier-grade WiFi technology for more than 25 top operators across the globe, Fon has invaluable expertise in enabling central management of home WiFi routers through innovative software. Customers demand faster connectivity speeds at home and have more devices in more rooms than ever. However, these fast speeds are often not available throughout the house due to coverage or interference issues. This translates into customer frustration and dissatisfaction. In fact, approximately 70% of internet technical support calls are WiFi related. In this scenario, many OTT players have entered the home WiFi battlefield to improve the customer experience, which implies an even greater risk for operators. Fontech has created an innovative solution, comprised of a powerful combination of next-gen software, a simple application for end users, and advanced WiFi extenders, to enable operators to improve and manage coverage and experience for users at home. The solution will help decrease expensive WiFi-related technical support costs and create happier internet subscribers. The cornerstone of Fontech’s solution is the Home WiFi Platform, available both in the cloud or on-premises. It gives operators visibility and control of the end user’s WiFi experience. Compiling both real-time and historical network and end-user information, the platform provides customer service agents with actionable insights on WiFi performance and the ability to resolve related customer issues quickly and remotely. Minimizing technical support costs, dissipating customer frustration, and in turn, improving Net Promoter Score, the platform can easily be integrated with existing systems through APIs. The Home WiFi SDK, also available as an app, is an intuitive tool that allows end users to self-manage their own home WiFi experience and resolve a variety of issues themselves. This dramatically reduces the associated helpdesk costs and number of truck rolls required. Operators can also offer new, value-added services through the app, such as parental control and Guest WiFi setup for family and friends. The Home WiFi Software for CPEs and extenders can be installed on third-party routers or extenders and permits them to communicate with the Home WiFi Platform. It can be remotely managed and upgraded, enabling features such as handover control, band steering, and data gathering. Fontech can also provide advanced Home WiFi Extenders that significantly increase coverage and solve the throughput problem in any home. This powerful combination of next-gen software and hardware, which is already being tested with different operators, puts an end to the inexcusable bad home WiFi experience: Operators gain full visibility and control and their customers can enjoy a better-connected life at home. For more information, visit our Home WiFi page and watch the video.